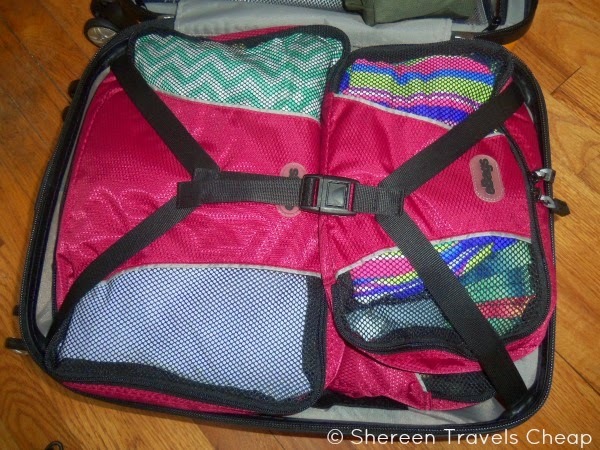 Are you sick of being totally disorganized when you travel? 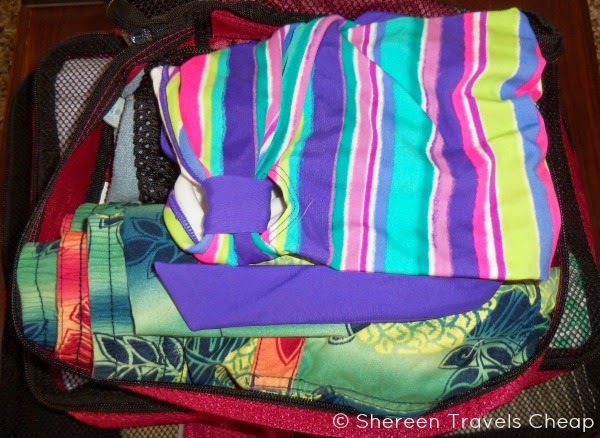 it can be a big pain when you are pulling everything out of your carry-on to find that one thing that you need. 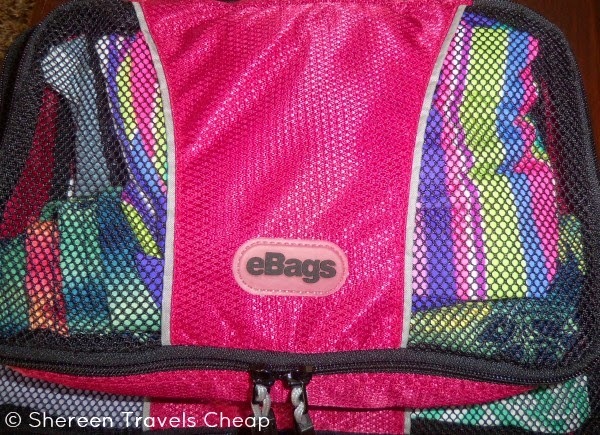 eBags Packing Cubes can help you make the most of the space in your bag and eliminate rummaging, so you can spend more time enjoying your vacation and less time trying to separate your clothes from everyone else's in your bag or looking for your swimsuit so you can go just in the pool. 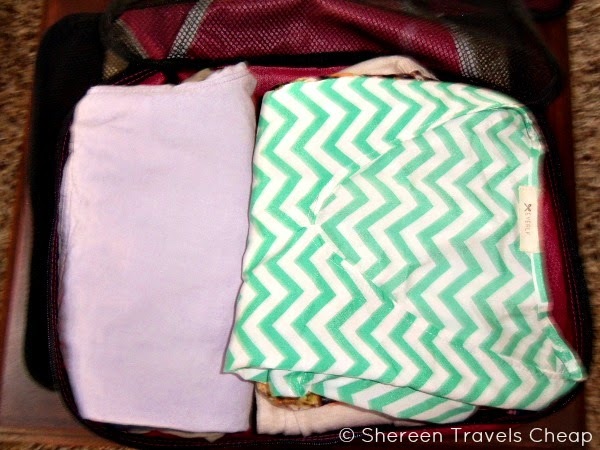 Though I enjoy rolling my clothes to save space in my bag, you can roll within your packing cube. Earlier this week I review the EXO 2.0 Hardside Spinner Carry-on, which I packed for my East Coast trip for the fall. Well, I took those same clothes and separated them into packing cubes and then repacked the carry-on as you would any bag you would be taking with you. With the three different sizes, I could keep my clothes separate from Eric's and use the smaller one for undergarments or for our swimsuits, towel and waterproof pouch for my phone. As you can see, each bag has a side handle for easily carrying or pulling out of your bag or the top of the closet. This is perfect for the one I packed for beach essentials. 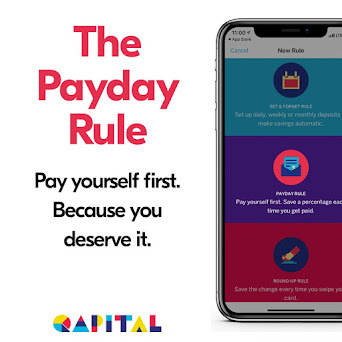 Once there, I could add a bottle of sunscreen and just throw it in the back of the car for when we find ourselves at the beach, or to pull out of drawer and have all our swim necessities right at our fingertips to quickly dress for some time at the pool. With the mesh panels on the top of each back, you can see what's inside at only a glance and it allows the contents to breathe and not get all stuffy, no matter how long they are packed. it also allows airport security to quickly scan the bag without unpacking it all. Obviously, they can see it is full of clothes, toiletries or underwear and can move on. Packing cubes are totally lightweight, but the fabric is high-quality and durable, so you will be using them for years. Because they aren't stiffly constructed, the cube molds to the contents you pack inside. As you can see, I used the large size to pack all of Eric's clothing and the medium size for all of my own. I rolled his for maximum effectiveness, but folded all mine, for you to see that – either way – they can compress once packed in your carry-on. Of course, fitting everything in the cube snugly will help use all the interior space efficiently. I also love the double zippers. 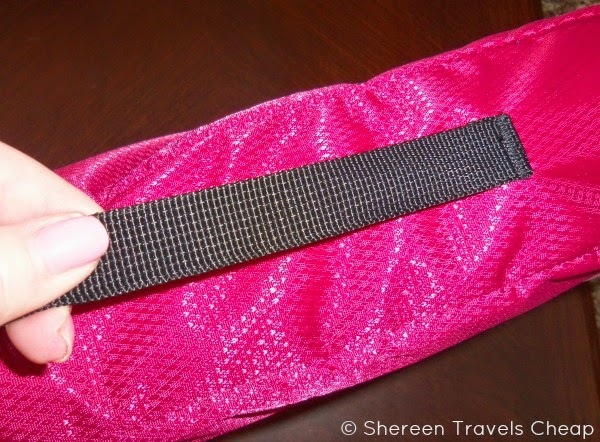 They feature eBags' corded pulls, making your Packing Cubes super simple to open and close. The zippers are heavy-duty and are made to last. Packing with cubes would allow me to have a little extra room in our carry-on, leaving space for an extra pair of shoes, some accessories or to bring back souvenirs from our trip. 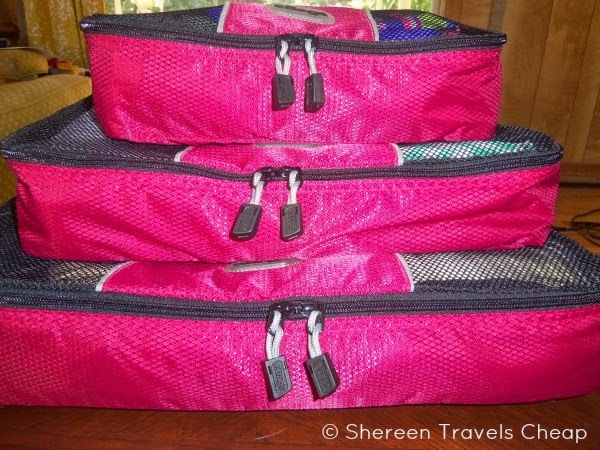 Obviously, I love the variety of sizes in the 3-piece set, but eBags makes all different sizes. 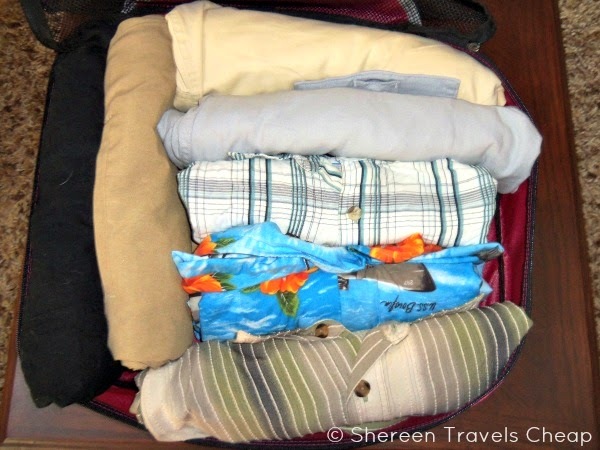 Use these different sizes to make the best packing system for you and your travel needs. Maybe you will opt for two large cubes or six large slim cubes or three medium cubes. 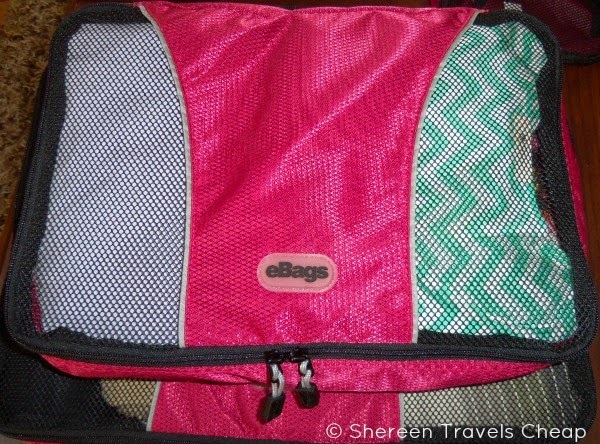 However you want to pack, eBags has a packing cube set for you. Sets range anywhere from $22 to $45. 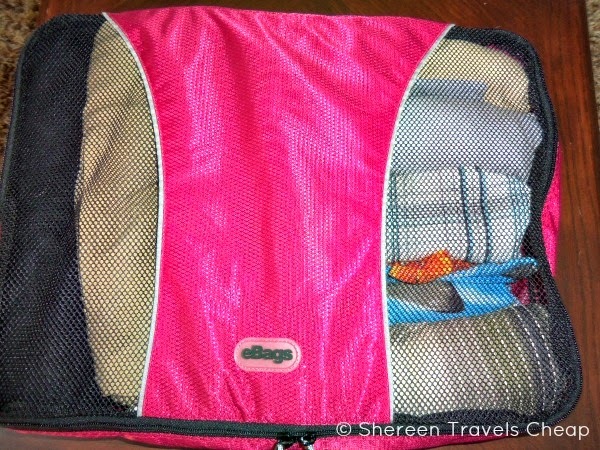 Just think how easy it will be to unpack at your destination with packing cubes. Just pop them out of your luggage and into a drawer and you're done! 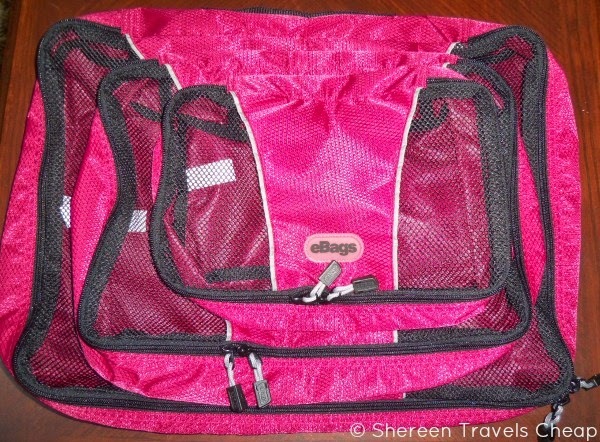 Disclosure: I recieved the eBags Packing Cube set for the purposes of this review, but all opinions are 100% my own.